The All India National Congress President (AICC) President Rahul Gandhi has appointed the Tripura’s Royal scion Maharaja Pradyot Kishore Manikya as Party secretary and assigned for the state of Sikkim. This perhaps has come up in a press communiqué released by the AICC General Secretary Ashok Gehlot. 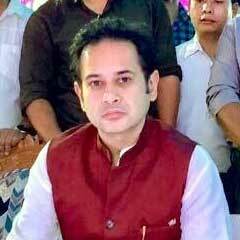 However, the press communiqué also appointed Bhipen Kumar Bora as the secretary and party in-charge for the state of Tripura. Altogether 9 new secretaries have been appointed by Rahul Gandhi to take charge of the party in as many states.